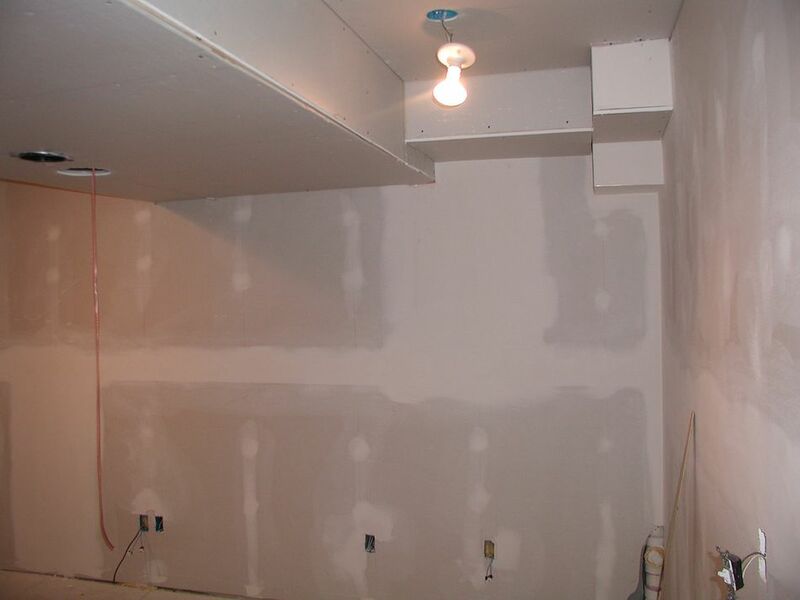 Many contractors have a tough time when estimating and completing take-offs for drywall work, but figuring the amount of drywall and other materials needed for a project is really a simple task. Follow the same steps that professionals and large companies use to count drywall sheets, mud, tape, screws, and corner bead. Once you have an idea of the quantities, you can quickly calculate the total materials cost. Measure the total square footage of the areas where the drywall will be installed. Multiply the width times the height of each wall or ceiling area, then add all of the quantities together to get a total square-foot amount. Calculate how many drywall sheets you will need by dividing the total square footage of area by 32 (if you're using 4-by-8 sheets) or by 48 (if you're using 4-by-12 sheets). If you want to get the cost, just multiply the total number of sheets by the price per sheet. Remember to add local taxes and delivery charges. Most rolls of tape contain 500 feet, so divide your total by 500 to determine how many rolls tape you will need. Once that you know how many rolls of drywall tape is required, multiply by the cost per roll. 1,600 x 0.053 = 84.8 pounds of compound. For corner beads, count the number of outside wall corners in the entire job. Plan on using one full corner bead for each corner, using either 8-foot or 10-foot bead. If there are soffits or other structures with outside corners, measure the total length of all of these elements and divide by the length of a single corner bead (8 or 10). Add this amount to the wall-corner count. Finally, add your markup for profit and overhead. Small companies can set between 15 to 20 percent markup, while other companies may set between 10 to 20 percent, depending on the location, size of the job, and other factors that might alter your quote.